Professor Phil Butler is now the proud owner of one of the world’s most famous ankles. Images of his ankle and wrist have been viewed by over 50 million people. The astonishing detail in the images has come from major advancements in the medical imaging field. By moving to a smaller pixel size and measuring the energy of photons, by counting at 8 energy thresholds, the MARS scanner is capable of generating images that contain over 8000 times more information than standard human-scale CT. In addition to being the first person scanned by the MARS scanner, Butler is one of the leading scientists behind its development and the CEO of MARS Bioimaging. 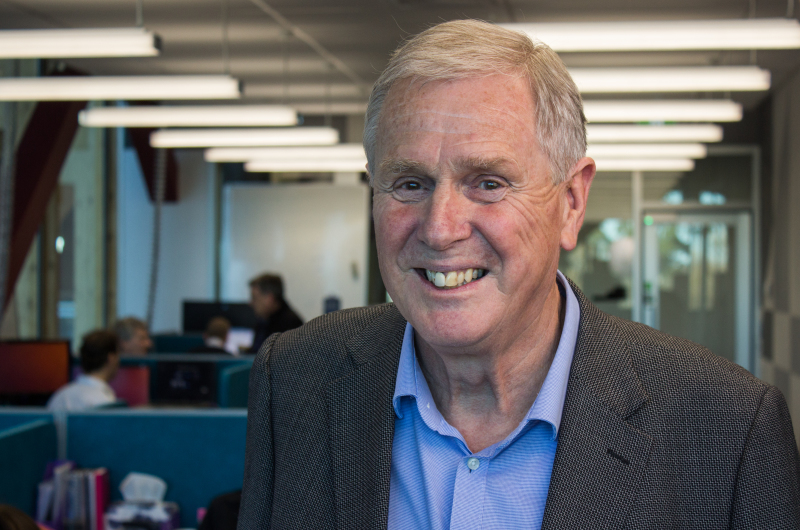 Although his background is academic research, the University of Canterbury physicist has been described by some as a serial researcher entrepreneur, having amongst other startups previously commercialized a novel laser for the treatment of port wine stain birthmarks. Despite the immediacy of the announcement, the actual machine has been many years in the making. It was Butler’s initial involvement in the CERN CMS collaboration, and subsequently the Medipix3 collaboration, which brought the detector technology and the idea for the MARS scanner to New Zealand over a decade ago. The idea of using the color of X-rays for medical imaging originated in the 1970s with several theory papers proposing that it might be useful to capture the energy information contained within the X-ray photons. By 1995, CERN had begun to develop semiconductor, direct-conversion detectors for high-energy particle physics experiments. It was realized these detectors could achieve the kind of imaging proposed in those original theory papers. After Butler joined the CERN CMS team in 2002, he saw that New Zealand had the skills to develop a medical scanner using the Medipix3 detector. By 2006, Phil was joined by his radiologist son Anthony, and together with others, they performed the first MARS scans using a bench top prototype system.